Fridges have come along since days of "freezer at the top, fridge down the bottom." 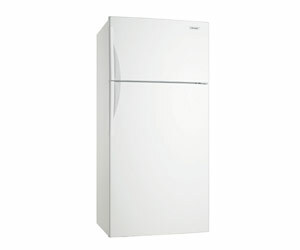 Today, there's a range of refrigerators, like fridge freezers and bar fridge, to suit everyones needs. Our guide compares types and outlines what to consider when purchasing a fridge for your requirements. What Are The Fridge Types? Before you decide which fridge to buy, it's important to compare the different types and understand what their different layouts offer. Freezer sits above the fridge compartment. The fridge section is above the freezer. Having the fridge at eye level means you don't need to bend down to access (non-frozen) food. The fridge and freezer sections are beside each other, with doors opening outwards. Usually wider than top and bottom-mount fridges, so consider the available space in your kitchen. Three-door design, which features double doors on the top fridge section and one pull-out door for the freezer. One full-size freezer and one full-size fridge, which are stand-alone units placed next to each other. Perfect for big families and entertainers. The extra width means you need more kitchen space to fit them. Toughened, double-glazed glass doors give better thermal insulation and energy efficiency. Dual-zone wine fridges have two separate compartments with independent temperature controls. Perfect for keeping the red and white wines separate. Adjustable shelving in the bar fridge accommodates different bottle shapes and sizes. Measure the available space in your kitchen to make sure that there is at least 50mm of extra space around the back and the sides for ventilation. It's also a very good idea to measure all the access points in your house or unit, such as stair cases, doorways, and the roof clearance. A household with two people: capacity of 250-300L. Average family of four: capacity above 400L. Essentially, a refrigerator that displays more stars and lower kilowatt hours (kWh) will use less energy and cost less to run. Frost-free prevents ice build-up and eliminates the need for manual defrosting by using a fan to circulate dry, cold air throughout the freezer. It also improves food quality and energy efficiency by evenly distributing the cold air. Adjustable shelving accommodates food in all shapes and sizes. Look for smooth removable shelves made from moulded plastic or safety glass. They are easier to clean. Spill-proof shelves have a small gutter to catch spills and stop leaks. Salad crispers keep vegetables at the perfect temperature. Dairy compartments prevent cross-contamination with other foods. Deep-door storage offers greater versatility; milk and juice bottles just keep getting bigger! Adjust the temperature to suit your groceries. Some fridges offer compartments with separate temperature control. Some side-by-side models include drawers that can be controlled independently. Digital controls, via an LED display, are easy to use and read. Anti-bacterial systems help destroy bacteria on food, preventing mould or mildew build-up, to make food last longer. Before making your purchase, find out how loud the fridge's internal fans, motors, automatic timers, and ice dispensers are. The last thing you want is to be stuck in a studio apartment next to a noisy fridge. 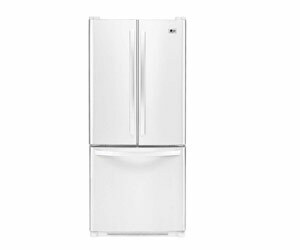 Fridges are generally available in plastic or stainless steel finishes. Some refrigerators allow you to change the direction in which the door opens for greater versatility. Twin cooling systems cool the fridge and freezer separately by using independent evaporators and fans. Fridges with four compartments have independently adjusted temperature settings, allowing each of them to be used as fridge freezers. Fridge types: Top- and bottom-mount, side-by-side, French-door, pigeon pair and wine fridge. Size: For a household of two, 300L should be ample. A family of four should look for 540-620L. Energy Rating: Fridges with more stars and lower kilowatt hours (kWh) are more efficient. Super-thin insulation technology: For greater internal capacity. Twin cooling system: Cools the fridge and freezer separately.